Vocalcom makes customer service simple and profitable for brands of all sizes. Vocalcom is a web-based contact center software solution with one of the highest reliability ratings in the Cloud. It offers predictive dialing, real-time contextual routing, and creates the opportunity to simultaneously power intuitive mobile customer experiences and radically improve contact center performance. The call center software from Vocalcom is the leading cloud contact center software solutions, bringing the power of exciting new mobile engagement capabilities to thousands of contact centers worldwide. it gives you a competitive advantage by powering an easy access to contact center apps that enhance the effectiveness of every customer interactions, with unmatched speed, simplicity and manageability. 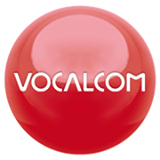 With over 3,500 customers in 47 countries, Vocalcom orchestrates more than 10 billion customer interactions every year. Great Vocalcom contact center software has been changing lives since 2011 and we're excited to make this new release available to you on AWS Marketplace. Learn how Vocalcom simplifies multi-channel customer experience for firms like yours. Please refer to seller's website.